Nappy rash is very common in babies and little kids. It is usually caused by dampness or moisture on a child’s skin caused by wet diapers which when in contact with the skin, can cause irritation which is the nappy rash. This is why it is recommended that diapers are changed regularly and not left to be too dense before being changed. From experience, allergy can also cause rash. For example, both my sons were sensitive to perfumed products like perfumed wipes, diapers or even perfumed powders or soaps and lotions. This is why I switched to natural products for my kids. Using fragrance – free products will limit nappy rash and common rash in babies and kids. Rash can also be caused by drug reactions so do read drug interactions and side effects before giving such drugs to your kids especially antibiotic. Since rash can be harmless but irritant, you might have to wait till the dosage is exhausted before considering treatment. While many topical products are out there in beauty stores, I have always relied on fresh aloe Vera gels and even vitamin C tablet to treat rash. This time around, I made a rash gel without the aloe Vera plant for people who do not have access to the plants. The aloe Vera gel on its own is perfect but since I am using the packaged one, I added glycerin because it helps to sooth the skin and with the aloe Vera gel, it becomes a double dose of coolant as well as moisturizes the skin and help to soften the skin. Natural aloe Vera has vitamin C and in its absence, I added vitamin C tablet which helps to clear the skin as well. Lavender oil is soothing and calming as well and helps to make the skin condition less irritable. It also has a soft, pleasant fragrance which makes this gel even more appealing. 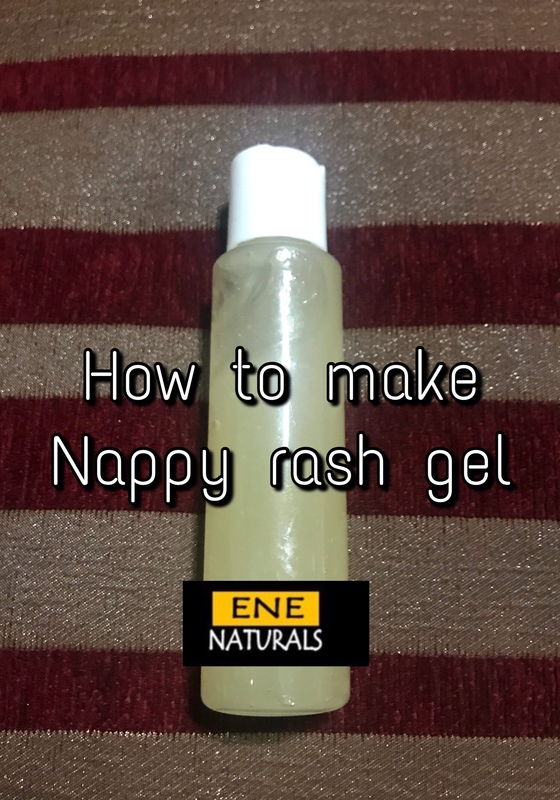 To make the nappy rash gel is a rather simple process.